The 25th anniversary of the first Fibromyalgia Awareness Day is on Friday, May 12, 2017. Fibromyalgia Awareness Day is focused on educating people learn about fibromyalgia and fundraising for organizations that support fibromyalgia research and advocacy. It’s a day for everyone to recognize that fibromyalgia is a real, life-changing condition that should be taken seriously. the founding of the International Red Cross. Historical documentation has suggested that Florence Nightingale suffered from symptoms similar to fibromyalgia and chronic fatigue. 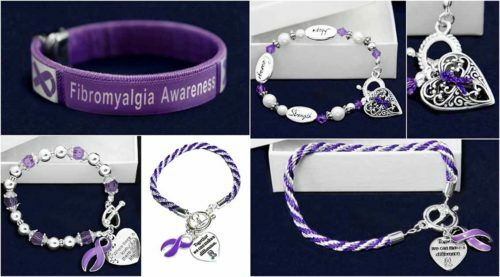 Awareness.shop is a leading online supplier of Fibromyalgia Awareness ribbon merchandise, including apparel and jewelry. Click here to visit the Fibromyalgia Awareness shop.